London, UK – Much to the excitement of music fans worldwide, the new feature length documentary on Greek music legend Vangelis titled ‘Vangelis And The Journey To Ithaka’ will be released on September 23, 2013 by Gonzo MultiMedia UK. 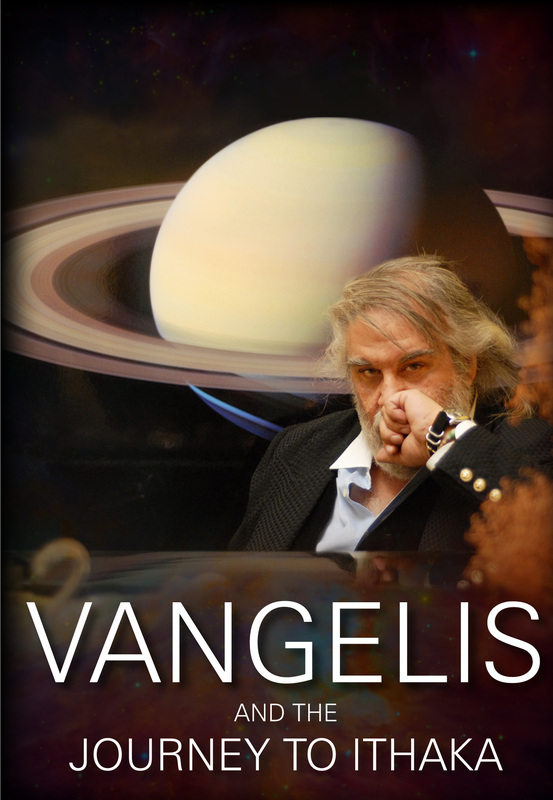 The two-hour documentary includes interviews with Vangelis and many of his friends and colleagues, including Sean Connery, Hugh Hudson, Jessye Norman, Oliver Stone, Akiko Ebi, Julian Rachlin and many others. It also includes rare, historical footage, most of which has never been seen before. Another highlight includes recent footage of Vangelis improvising new music! Vangelis, a composer of electronic, ambient, jazz, pop/rock and orchestral music, is best known for his Academy Award winning score for the film ‘Chariots Of Fire’, and composing scores for the films ‘Antarctica’, ‘Blade Runner’, ‘1492: Conquest Of Paradise’ and ‘Alexander’, as well as the use of his music in the PBS documentary ‘Cosmos: A Personal Voyage’ by Carl Sagan. Vangelis began his professional music career working with several popular Greek bands in the 1960’s, such as The Forminx and most notably Aphrodite’s Child. Throughout the 1970’s Vangelis composed music scores for several animal documentaries; the success of these scores brought him into the film scoring mainstream. In the early 1980’s, Vangelis teamed up with YES vocalist/songwriter Jon Anderson. The duo recorded a series of successful and critically acclaimed albums under the name Jon & Vangelis. In 1981 Vangelis composed the score for the Oscar-winning film ‘Chariots Of Fire’, which won him an Academy Award for Best Original Music Score. The soundtrack’s single “Theme From Chariots Of Fire” reached the top of the American Billboard Hot 100 chart and was most recently used as theme music at the London 2012 Olympics. In a career spanning over 50 years, writing and composing over 50 albums, Vangelis is regarded as one of the greatest composers of electronic music of all time. And now, the new documentary ‘Vangelis And The Journey To Ithaka’ celebrates the music legend’s illustrious and fascinating career! This entry was posted on Friday, July 26th, 2013 at 01:34	and posted in Press Release, Vangelis. You can follow any responses to this entry through the RSS 2.0 feed. « ‘Fly Like An Eagle – An All-Star Tribute To Steve Miller Band’ Featuring Members Of YES, Asia, XTC, Dream Theater, Survivor, The Tubes, Curved Air, Deep Purple, GONG, Nektar and Others Now Available!